“The facts show that Mike Beebe says one thing and does another,” said Kathryn Cherry, Executive Director of CFAF. 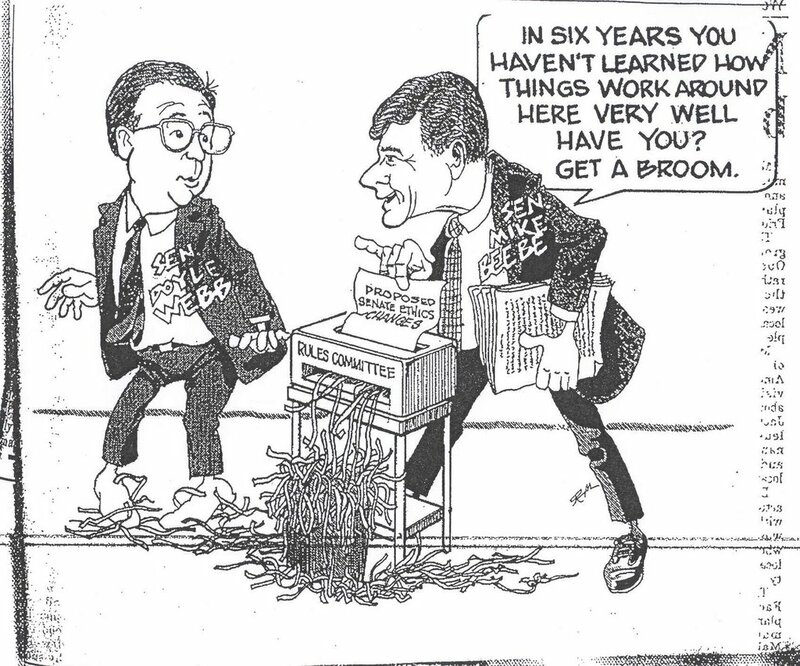 The advertisement highlights Beebe’s vote in 1991 to increase the sales tax on used cars. In addition, the advertisement highlights Beebe’s vote in 1985 to increase taxes on gasoline. However, in 2002, he campaigned to keep these very taxes on groceries. Beebe also opposes legislation to require a three-fourths vote in both legislative bodies to raise the state sales tax. That's a brilliant 527 ad. Why let the facts get in the way of some good ol' fashioned fear mongering. I guess this opens up the door for someone to exploit Asa's record on immigration failures (ouch! ), homeland security fumbles (aaaiiee! ), lobbying (that's gonna leave a mark) and the Clinton impeachment (the unkindest cut of all)! See you one-trick ponies in November. Yeah, we'll see you at the polls, too.....when you're bungling, idiotic candidate loses. Beebe's response to the ad was to say that it was misleading. I guess he thinks anything is misleading when it tells the truth about him. Of course, he wouldn't know the truth if it was staring him in the face, which is it in the form of his own record in the Senate for 20 years, which is why he's trying to run from it.